It's been awhile since I've done a giveaway on my blog. 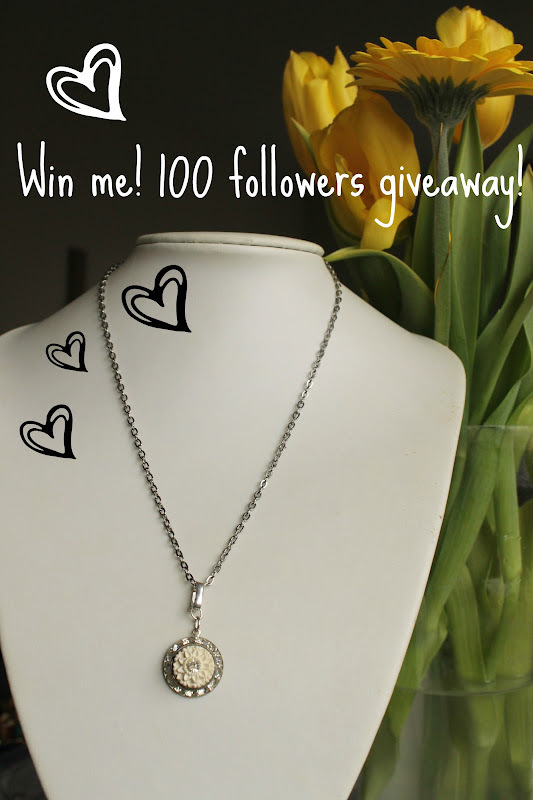 So here is a Spring giveaway in honour of my 100 followers on Facebook. It's SUPER easy to win this necklace. Whether it's a 1940's antique locket given by a soldier to his wife before he headed off to war, or a 1970's funky earring worn and rocked out at a disco dance... every piece holds a unique story for other generations to love, reworked into a modern day collection of jewellery. b) for extra entry follow Hattitude on Facebook or Twitter and leave another comment with your contact info. Winner will be drawn via random.org on Thursday March 30th, 2012. Giveaway is open to US and Canada residents. Sorry other country friendlies.